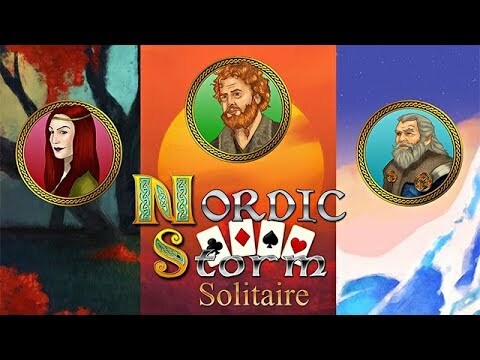 An ancient Nordic adventure awaits in Nordic Storm Solitaire. Help Elof lead his people to a land promised by the God Feyr. But beware, as this land is under dispute by the Jotun Idyl, an arch-rival of the ancient Gods. Play through challenging levels as the story unveils through the cards you have been dealt. Collect and use level boosts, earn rewards for speed, combo and more. Featuring over 130 challenging solitaire levels and enchanting landscapes, Nordic Storm Solitaire will test your wits and sense for adventure. Discover what ancient secrets lie hidden in the sands of the Caribbean Sea.